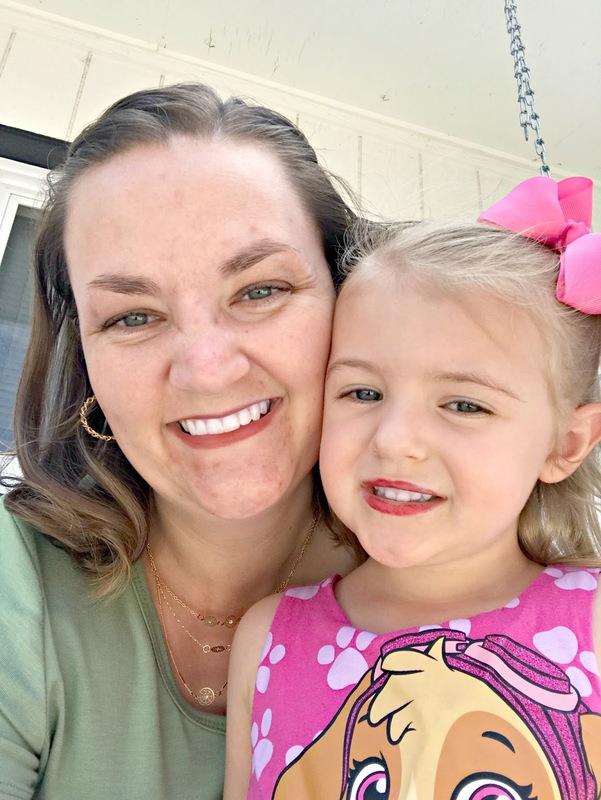 It has been one week since my hysterectomy and so I thought I would share with you about how recovery has been, how pathology came out and how I am finally feeling. I have shared these photos on my social channels but the story that goes with them is only here. I apologize for the photo above but that is a good place to start. I arrived at pre-op on time. All my blood work had been run, I was the most excited patient they had on the floor and I was just ready to go. I made jokes and laughed and told every single doctor and nurse that came in how ready I was to end this chapter of my life. I honestly wasn’t even nervous. Not even a little bit. Truly this surgery was meant to be if I had absolutely no nerves. 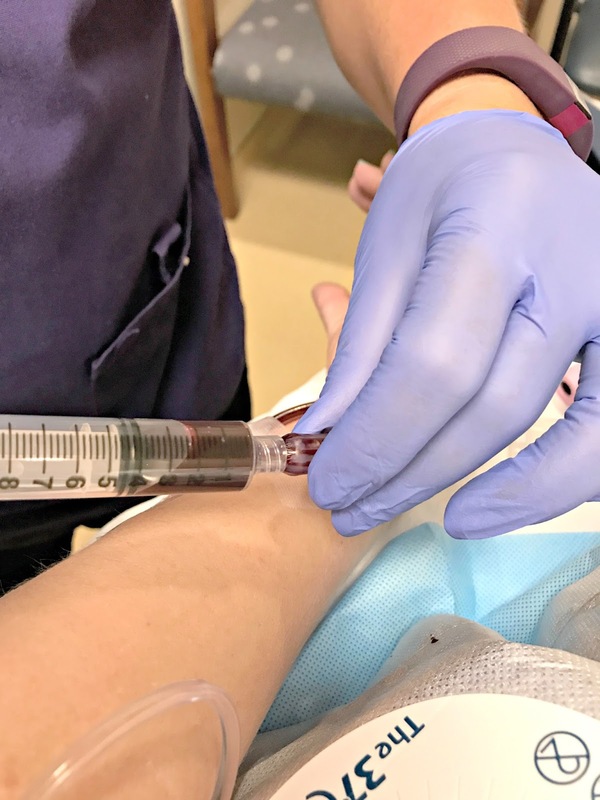 One little set back, my doctor forgot to run one of my blood panels and so of course my awesome nurse (shout out Joanne or Joanna…you were right my memory would be a hot mess), who had to get it out of my IV without blowing another vein. She was really good at getting my veins, my veins are not so good at cooperating. Once that was done another nurse (Rachel! I remember! ), rolled me back to the operating room and the anesthesiologist told me he would be giving me the good stuff and I would not be aware of anything after 20 seconds. Try 1 second. I have no recollection of anything after that shot and I guess that is good. I woke up in recovery. FYI, a laparoscopic hysterectomy takes about 3 hours to perform. There are many different ways of going about it but I have a small incision (about 1 inch across) on each side of my lower abdomen and one right through my belly button. They took my uterus, cervix and my fallopian tubes. I kept both my ovaries (yay hormones! wait nooooo). Recovery is another 3 hour process. You start in phase 1, which is like waking up and trying not to puke while they force you to eat and drink. I survived and did not puke, although there were a couple moment. Phase 1.5 is where they make you get up, go to the restroom and get dressed yourself. Then there is Phase 2. This is the point where you get to sit in a reclining chair to catch your bearings and wake up even more before they roll you out the front door. It took me about 2.5 hours to get through recovery and then I came home and slept for 18 hours. When I woke up, my abdomen was swollen as you see above, and I was in some mild pain. The pain for me was a gas pains in my neck, shoulders and jaw, as well as along my c-section scar and my belly button. The two incisions on my sides don’t even bother me. I loaded up on pain killers and decided I felt good enough to go to my great uncles military funeral service. That was the worst decision I would make. I moved slow, I was good about sitting and relaxing, but my body told me that I overdid it. I don’t regret going, I was able to see family that I see very rarely, but I don’t recommend an excursion less than 24 hours after surgery. I do want to let people know that for me the pain of this was worse than the pain of having c-sections. They had to cut through a lot of scar tissue from my c-sections to get that pesky uterus out and that is likely why I was in more pain then my c-sections. The next day I had a friend massage my neck and shoulders to get that trapped gas out (they pump your body cavity with CO2 to access the organs easier) and then I laid low, stayed on top of my medication, iced my tummy, and learned that I was supposed to be taking Ibuprofen to help with the swelling. I swear you guys, they did not put anything in my discharge paperwork about this and if my doctor did tell me, I was out of it. Within hours I started to feel human. 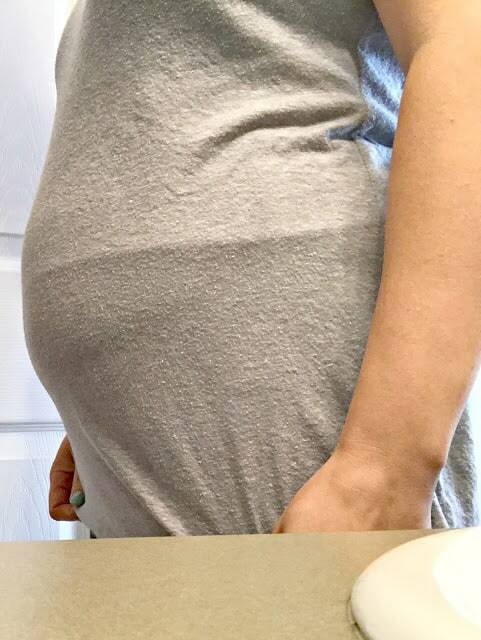 The only part that bothered me was that everything inside felt like it was going to fall out my belly button, so I purchased a pregnancy belly band to hold me together and since I couldn’t wear my go to jean shorts, or jeans, or even skirts, I have been rocking LuLaRoe leggings everywhere I go. They really are buttery softness and luckily a friend of mine is going out of business and I was able to raid her inventory to get a few new outfits so that I would feel less frumpy. 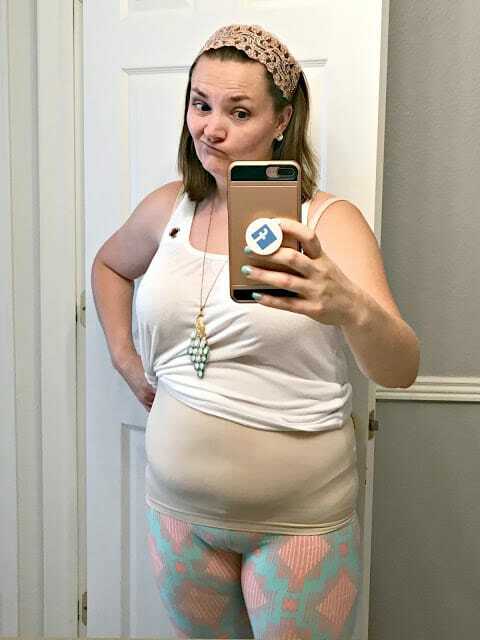 I tried my other legging options and the waistband was too binding across my tummy. LuLaRoe for the win people! Yesterday was the first day I almost felt normal. I am still tired and sore. My belly is starting to show all the bruising from surgery and I am still swollen. However, I stopped taking the narcotics and am just taking Ibuprofen now. I have driven a few close places to get up and moving a bit and to not be stuck at home with two wound up kids and a puppy and big dog that thinks she is a puppy. I am thankful to my family that has been here to help with the kids, make me rest and take good care of me. My husband was changing the ice packs on my tummy and getting me meds in the middle of the night and took puppy duty which I was so thankful for. The derma-bond glue on my incisions is starting to come off and the swelling is going down so that is a positive. Getting up is not as awful as it was and pathology came back good! I had a couple uterine cysts and some on my ovaries that they removed too. I am eager for it to be next week already so I can feel even better. I am still restricted to just 15 lbs of weight, which kills me because my puppy is 20lbs and my nephew is about that or more, so holding them is not happening . I have a 6 week post op check the week of August 24th and then I should be cleared to be a normal human again! I am so excited to have my life back people! Thanks for reading that lengthy mess! Have a great Tuesday!